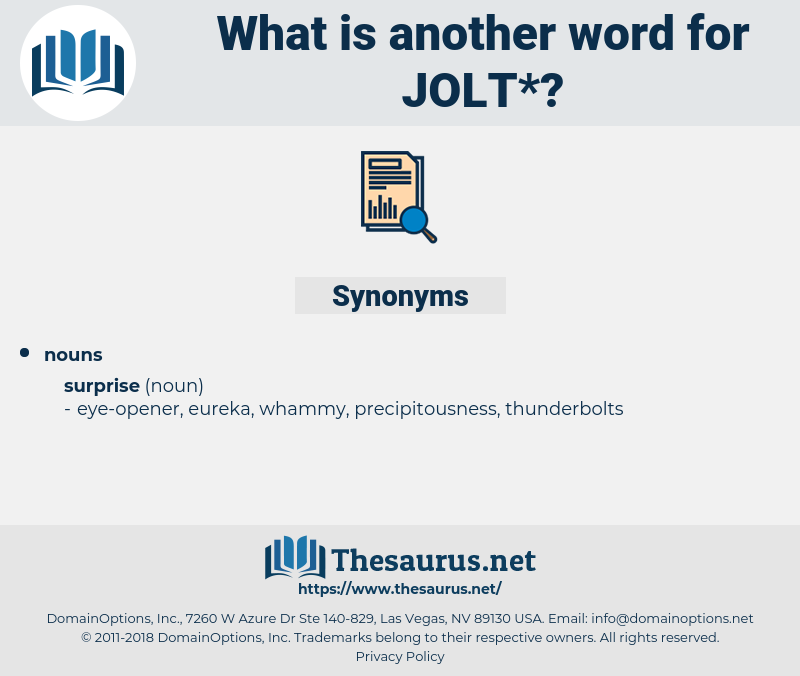 What is another word for jolt? 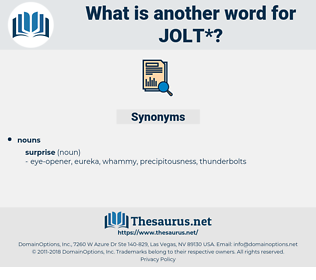 A shock or shake by a sudden jerk. comfort, calm, soothe, hold, placate, order. She was nervously careful about choosing her steps so that she would not stumble and jolt her father. Poor kid, what a jolt she would get some day.